Located in southern Ardèche, Mas de Baume has been awarded the "Séjour de Charme" label. Open from 30 march to 5 november 2018 – Book on-line in just a few clicks! An old farmhouse, converted into a boutique hotel. Mas de Baume is an old fortified farmhouse, whose beautiful architecture has been carved out in harmony with the dominant culture and historic events of the region. It has been fully renovated in keeping with its historic structure and surrounding environment. Located in southern Ardèche, a few kilometres from Vallon Pont d’Arc and its magnificent limestone gorges, it also offers easy access to other exceptional sites, including Chauvet cavern, Aven d’Orgnac, the Cévennes national park, four rivers and the vineyards of Ardèche, whose varied wines deserve to be tasted. In this unique natural setting, we strive to provide a warm welcome and quality accommodation. Our eleven rooms each have their own personality and offer comfort, elegance and privacy to our visitors. 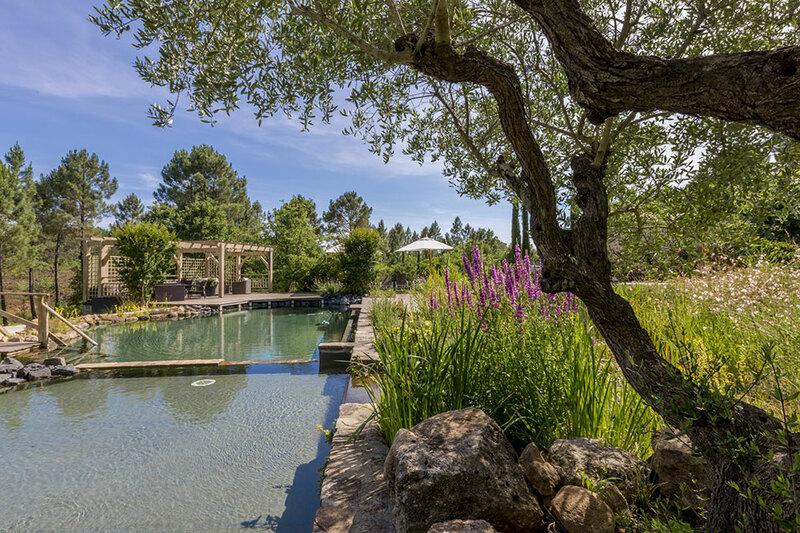 Mas de Baume strives at its own level to limit its ecological footprint: insulation, electricity, heating and the natural pool are managed according to eco-responsible techniques. Our activities are also environmentally friendly. Our charming 3-star hotel invites you to discover the natural, historic and cultural treasures of the region, whose past is rich but often ignored. Find out about the activities proposed around the hotel.